Franchising is one part of a bigger picture. Increasingly, it is more difficult for good people to do ignore this hollowing out. You make your choice by choosing to do nothing. 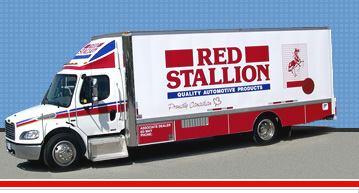 My brother-in-law Leo ran a gas station and then had a Red Stallion franchise. His dad ran the same 2-bay Sunoco garage in the east end of London, Ontario for decades. Franchising is just a part of the puzzle, Les. They’ve been screwing small businesspeople for years and years. “It’s like a lot of things” is what Gordon Pitts said this to my wife in 1998 when she called about franchising. Pitts is the editor at The Globe and Mail newpaper, Canada’s national business daily. Below is a video 9:43 video with Bill Moyers interviewing economist Dean Baker and journalist Bob Herbert. Dean is a frequent contributor to Beat the Press weblog where his comments seem ring true. Franchising is only one part of an ongoing economic clear-cutting of non-elites. Predatory actions are the new American Dream, including small business lending. The media is not asking for solutions, they’re part of the problem (bias is not recognized). Listen to the nuns: chicanery happens when you neuter the watchdogs. Bailouts have zero accountability (paying out the elites who got us in this mess). Debt enslaves. Usury is a forgotten concept. Any collective impulse such as unions (or Independent Franchise Associations or national groups of IndFA) is ridiculed which maintains the elite’s control. Employers simply terminate troublemakers: It’s cheaper to drag it out for 2 to 3 years and pay a small fine, if anything at all. Ditto in franchising. I never really thought about class warfare before. I think about it a lot more lately. In The Globe and Mail newspaper opinion article named Peace on Earth, good shoes toward men, author Rick Salutin touches on an important point. In the face of overwhelming power, symbolic acts are important. They hold the promise of growth for both sides of any conflict. Journalist Muntader al-Zaidi, the shoe thrower of Baghdad, has given us all a Christmas present – like the gift of the Musli – in the form of a new way to react to rage and conflict, one that’s symbolic and non-violent. It evokes respect, even from its target, rather than further rage and violence. Symbolic acts are therapeutic for people who feel, like many Iraqis and Palestinians, humiliated. You not only lose your homes and lives, you lose your sense of dignity. A restrained, controlled act helps restore that sense. You could see it in the creativity of people raising shoes on poles in recent demos demanding U.S. withdrawal from Iraq, or pelting military convoys with shoes – rather than blowing them up with IEDs, which assault terrified young soldiers instead of the decision-makers. The latter are rarely exposed, except at press conferences, where the indignity can descend on them, if they have to dodge around like targets in a dunk tank. Such acts can even be helpful for the targets. “This is a gift from the Iraqis … you dog!” yelled the shoe thrower. But he gave George Bush a chance to look quick on his feet and more astute than he ever did after 9/11. Remember his doltish “analysis”: It’s because they hate us for our freedoms. Here he called it an “interesting way for a person to express himself” – as if it gave him something to reflect on, for once. So it was a gift. Litigation of any kind is a violent activity and should be avoided. It’s not a matter of winning and losing: It’s a matter of not being tricked into degrading yourself to their level. Let’s put our heads together and throw some shoes and dodge the trap of being sucked into a war without end. Try more creative ways; ways that can allow others to join in your situation. Looking outward is always the surest way of rising above. It is the nature of pain to focus attention on ourselves. The lesson that pain brings is that we’re all in it together. Among the learned the lawyers claim first place, the most self-satisfied class of people, as they roll their rock of Sisyphus and string together six hundred laws in the same breath, no matter whether relevant or not, piling up opinion on opinion and gloss on gloss to make their profession seem the most difficult of all. Anything which causes trouble has special merit in their eyes.